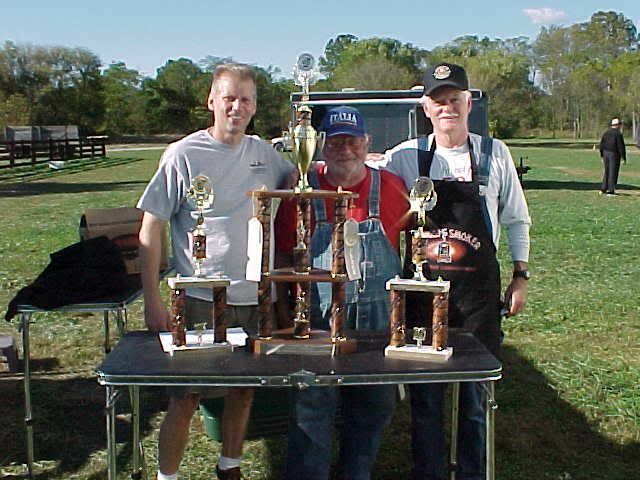 I am currently looking to go back to an all wood smoker. Two that I am interested in are the Economy Pit from Gator and the Lang 48. Does anyone here have any experience with these or any other recommendations? I have a Gator myself. It's a great pit. Are you talking about the Budget Mobile? Thats a great pit. Because your shipping to Ohio my advise is to get a 24" diameter pit if you can afford it. Otherwise It's all in the cost of the pit delivered to your house and options. Shipping is really high. Both pits will make you happy. Call Ritch at Gator Pits of Texas, and Ben Lang and talk to them. Our Travis make a nice pit too. I own the budget mobile and I could not be happier with it. If you are looking at the mobile lang 48 the gator budget mobile is a better buy. If you take away the turky frier the both pits are the same price. And IMO you will get a better pit along with a much bigger pit. With gator there is much more you can add to your pit. For example you can add a log lighter. Let me tell you it is great to have it no more need to mess with charcoal anymore. The pull out shelves are great too. Just send me a pm if you have any questions about gator. I emailed Gator and it's only $425 to ship it to Ohio. Both Lang and Gator look good. I may be leaning a little more to the Gator. I appreciate the advice. That's what I like about everyone here. Lots of experience and lots of help. I'll still take more advice. Still looking. Just had a baby so I'm watching the money a little bit. However, another one that has caught my eye is the backwoods smokers. Does anyone have one and how do you like it? I have never used one I hear they are good you also might want to look at stump smokers. If your not in a hurry you should look at them all and cross out the ones you don't want. Eventually your choice will be simple. Just take your time. Be more than happy to talk to you about the Backwoods cookers and even give you a demo as you are less than two hours away from my home. Course, you would have to bring the beer! I have an upgraded Party, a Fatboy, and a Competitor. 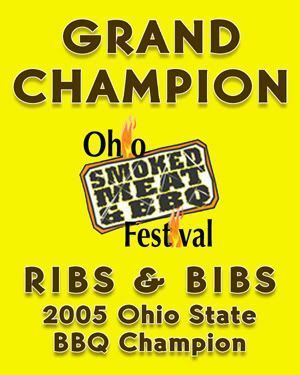 The reigning Ohio State BBQ Champion used a Backwoods Fatboy to win this championship last Fall at Nelsonville. Thanks for the links Zilla. The Spice Ironworks looks great also. Being I,m originally from Kansas, the Chiefs logo looked great. We just might have to meet up Dave. Just let me know on the beer.